During the day Philly’s University City neighborhood is a smorgasbord of food trucks selling food from across the world, but by about 9pm most of the local restaurants, at least near my hotel, were closing down. I found coZara, an Izakaya and sushi bar, right before last call for food. Apparently coZara’s menu has gone through several re-vamps since it opened in 2014 with a 60+ item Izakaya menu. But according to a Philly Mag article this diversity of options seemed to intimidate patrons and the locals wanted sushi, so it rebooted by adding a sushi bar and whittling the Izakaya menu down to a single page. The small plate style Okonomiyaki they served was really good, although I would have preferred a little more cabbage in the pancake batter, and the Shishito peppers were also great. However, their pork katsu skewer, about 2 ounces of pork on a skewer, encrusted with panko, deep fried then covered in brown sauce and kewpie mayo, lacked any pork flavor and underwhelmed. The Dumplings: coZara serves pork gyoza that can be ordered, steamed, fried or pan seared. The pan seared option produced a really nice crispy wrapper, that had caramelized notes in the flavor. The gyoza filling had a great crunch texture from pieces of water chestnut that had been mixed into the pork. Between this crunch and the crispy wrapper, I really enjoyed the mouth feel of these dumplings. But the pork filling was bland, bordering on tasteless, and while water chestnuts provide great texture, they don’t bring any flavor. I don’t know where they are sourcing their pork or why they are not seasoning it, but coZara doesn’t seem to do pork well. The Dipping Sauce: When a dumpling is bland I hope for a great dipping sauce that I can use the dumpling as a delivery vehicle for. Unfortunately, coZara didn’t really produce on this front either, it seemed like straight soy sauce mixed with some chili oil. The Location: coZara is in Philadelphia’s University City neighborhood, near Drexel University and the University of Pennsylvania. It is on Chestnut street between South 33rd and South 32nd streets. 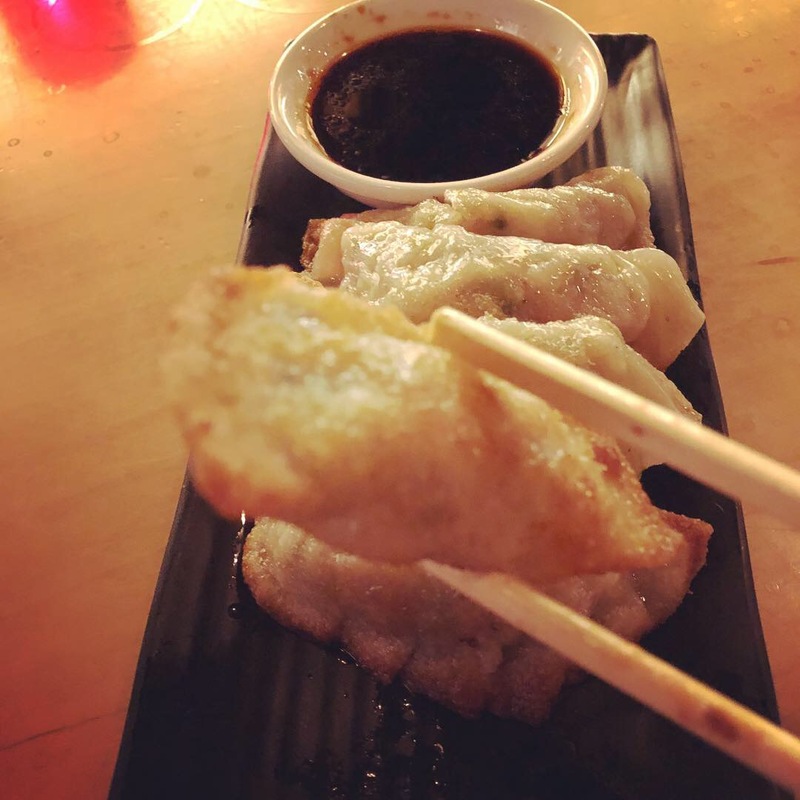 This entry was posted in Gyoza, Philadelphia, Pork. Bookmark the permalink.